A hat is a must-have when the weather is freezing outside. I like the hat I choose to function but to do so in style. So, my choice of a topper is always a sharp fedora. The right fedora can effortlessly elevate an outfit. I was instantly drawn to today’s featured topper because of its color combination–navy and burgundy. Don’t you just love that striking color combo? 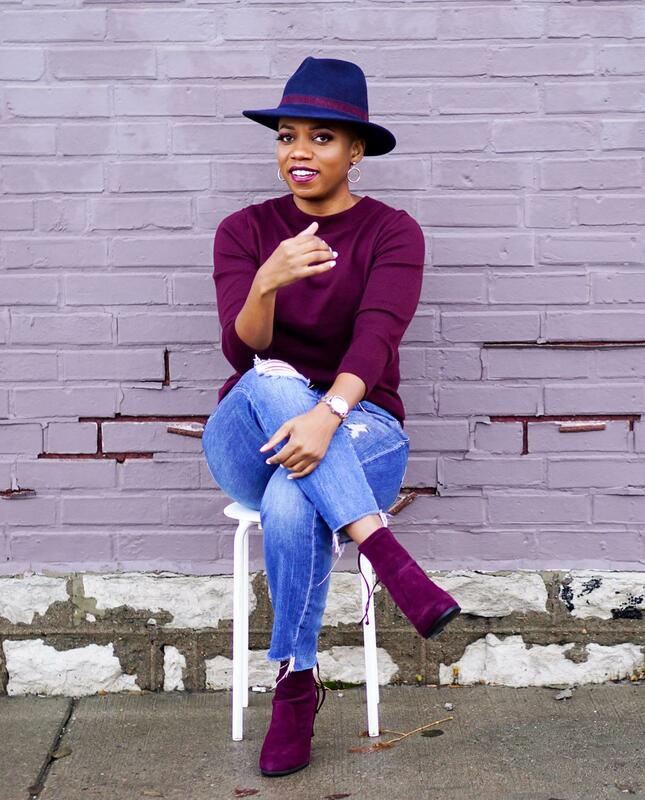 In these colors, the wool hat has such a luxe vibe with the contrasting felt trim. When I first saw the hat, I immediately started imagining outfits that it would perfectly complement. 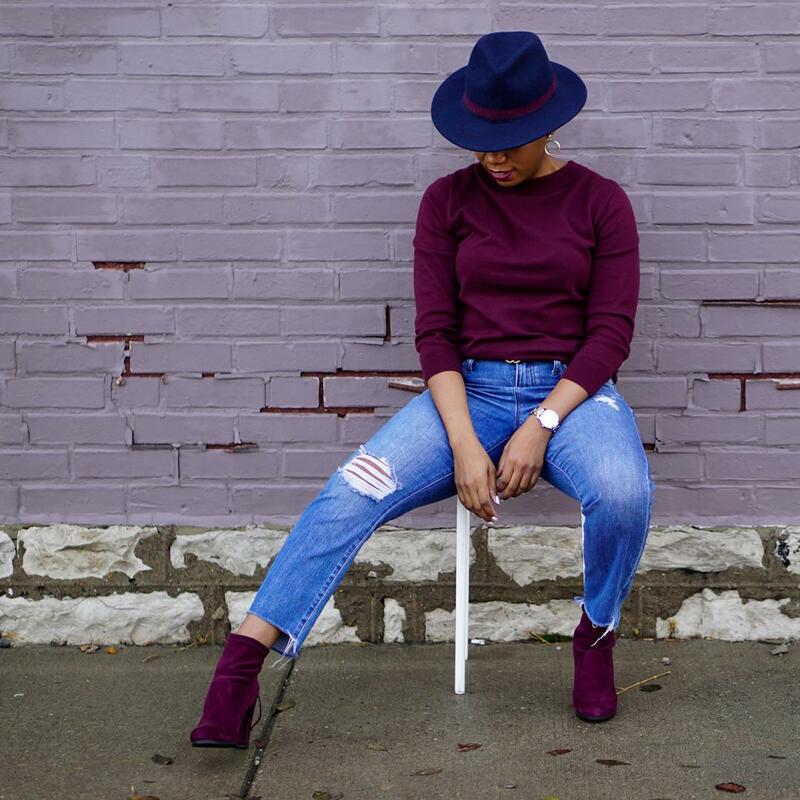 From navy ensembles to winter white outfits, this hat can so easily cinch an outfit together and even inspire an outfit, like it did this one. In today’s look, I opted to color block with basics. 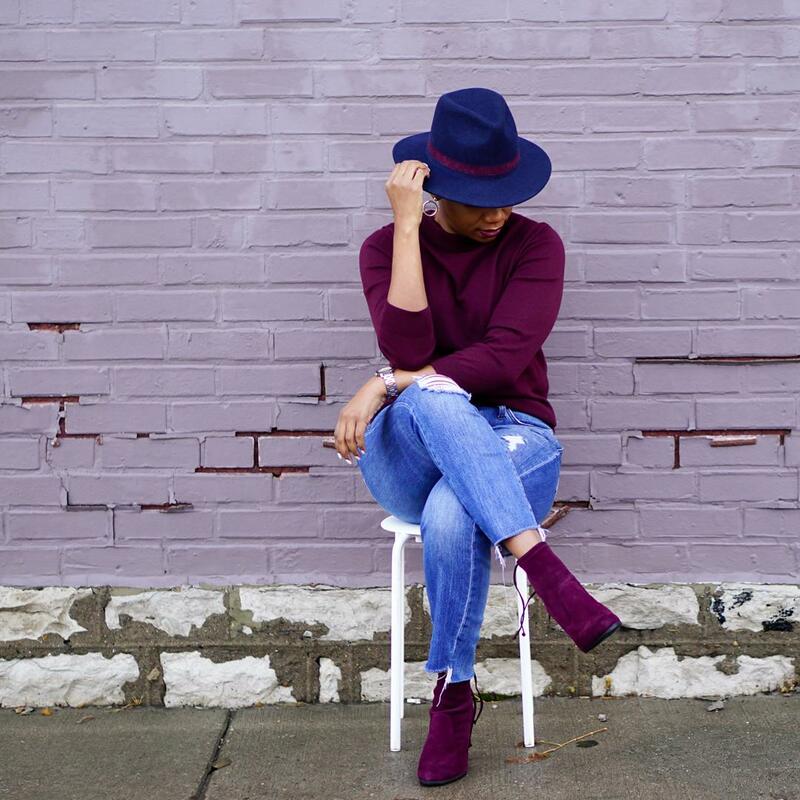 A burgundy sweater, boyfriend jeans, and booties get new life when this hat is thrown into the mix. 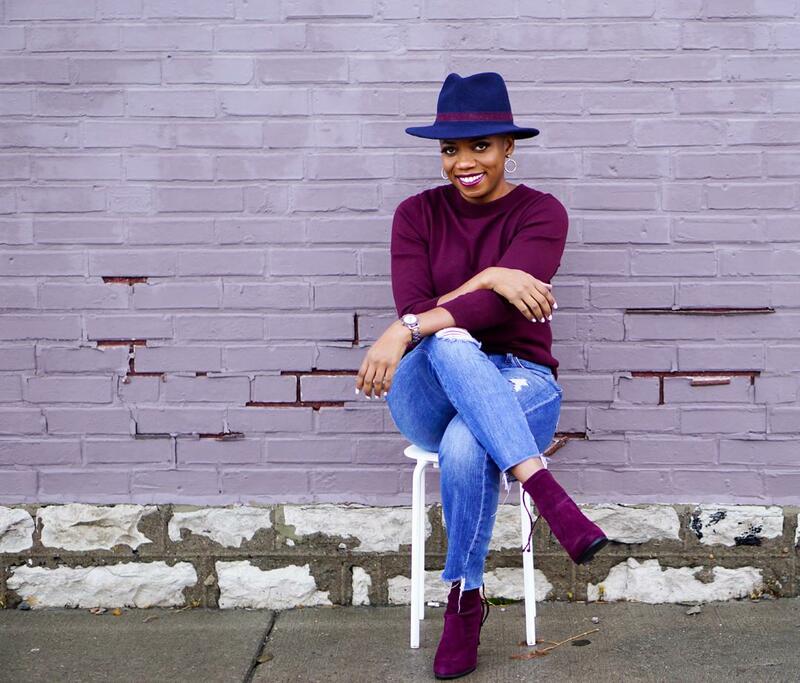 What’s your favorite hat style during the colder months? 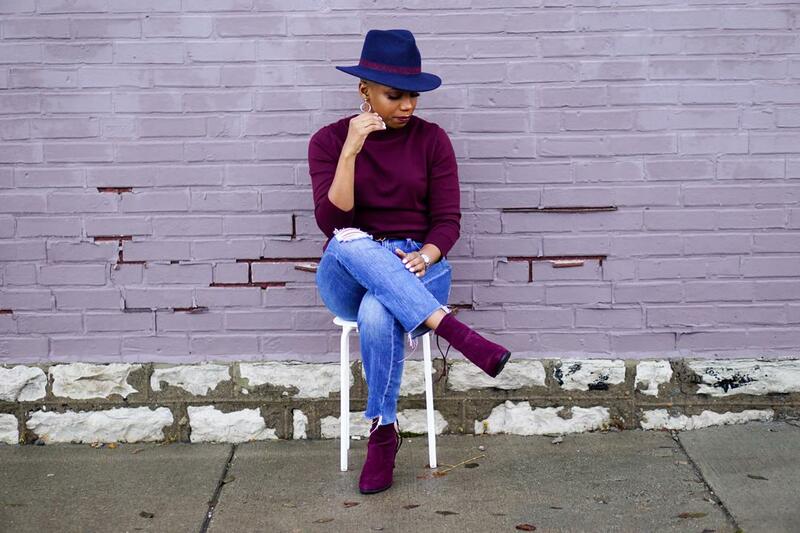 Beautiful color combination in this outfit and the accessories; hat and ankle boots are just perfect.